Raymond J. “Jim” Hephner, age 92, originally from Chilton, died on Thursday, January 24, 2019 at Sunny Ridge Rehabilitation Center in Sheboygan. He was born April 1, 1926 in Hilbert, son of the late Thomas & Dulia Bettenberg-Hephner and was lovingly raised by his grandparents, James & MaryJane (Weeks) Hephner. 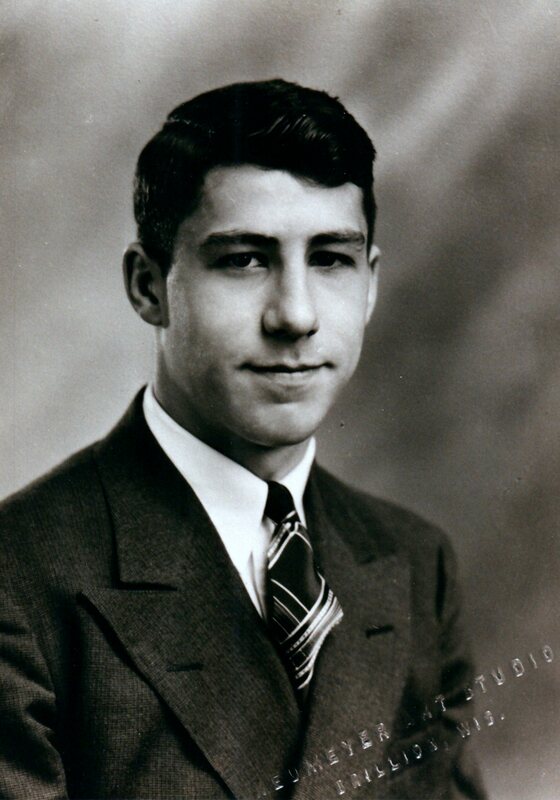 Jim graduated high school, class of 1944 and immediately joined the United States Navy where he served in the Pacific Theater during World War II. During his time in service, he met Virginia Valentine Lee of Louisville, Kentucky and following his honorable discharge, the couple was married on September 6, 1946 in Louisville. Jim was also married to Marie Neveau & Virginia Broehm. Although Jim worked at a few places throughout the area, he is best known for his travels throughout the country selling fresh seafood to his many clients up until fine young age of 90. His many travels took him throughout the entire United States, having seen 49 states of the union, missing only Alaska. Jim loved the great outdoors and took every moment he could to be outside. He enjoyed hunting, doing yard work even raking up leaves throughout the fall of 2018, and spending time playing golf. He was especially proud of the Hole in One he captured at his beloved Hickory Hills Country Club on July 25, 1963. Beyond golf, Jim was an avid baseball, football and basketball fan who could recall special moments and dates in sport history from throughout his life. Jim loved animals and cared for many dogs from the time that he was a young boy. He was also a fantastic baker and loved to bake pies which he delivered all around Calumet County to the people he knew and the places he did business with. Jim had a penchant for playing cards and loved to teach people how to play Bridge. He was also fond of the fine arts having a grand appreciation of music and even starred in the play, The Odd Couple, as the “Neat Clean Man”. In his down time, Jim loved to watch Jeopardy and completing crossword puzzles and had helped spearhead high school class reunions, the last being 74 years last year. Survivors include his children: Barbara Heinen, Donna (Konrad) Phalin, Monte Hephner and his fiancée Sarah Sheedy; a son-in-law: Steve Luedeman; 11 grandchildren; 22 great grandchildren; 5 great-great grandchildren; and his sisters-in-law: Dolores Lee, Ann Pohl & Joan Hephner. Jim was preceded in death by his parents; his grandparents; 2 sons: Michael & Marcel Hephner; 2 daughters: Ramona Hephner-Luedeman & Debbie (Emil) Roethler; a son-in-law: Les Williams; a grandchild: Sean Busse; his siblings: Mary Jane Tyson-Bowe, Phillip Hephner; his half siblings: William, Peter, Betty & Joe Bettenberg and Dulia & Edward Williams; and his lifelong friend: Bob Graney. Funeral service will be at 3:30 pm on Saturday, February 2, 2019 at the Wieting Family Funeral Home (411 W. Main St.) in Chilton. Friends may call at the funeral home from 1:30 pm until 3:30 pm on Saturday, February 2, 2019 when the service will be held. Jim was such a great guy. Always had a smile on his face and told the best stories. Our kids loved him as a grandpa and looked forwards to all the Christmases we were able to share with Jim and Marie. Our youngest daughter, Mariah, was so happy when he came to Kentucky for her wedding. He brightened the room when he walked in. He will be greatly missed but never forgotten.